Only 390 Euros including book! softwaregrounded method to the whole product development in one day. BASICS | AGILE for beginners. CONDITIONS | Roles, rituals and tools. CORE | Make poeple great. LIVE SIMULATION | AGILE in 3 minutes. IMPLEMENT | Exchange of experiences „Der Heiße-Stuhl“. TO BE THERE | cost of participation € 390,00 plus taxes. Be part of a high-performance team. Klick on the field below for your desired date, or request your own Agile dossier. You will receive a registration confirmation as well as detailed information about the event. Your information is treated as confidential and will not be passed to third parties. 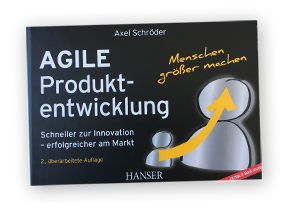 Get more information concerning AGILE in the product development. 12 Page expose: AGILE product development – the rhythm for more efficiency in R&D. Here you can register for your intensive seminar. Please fill out and click on the send button. 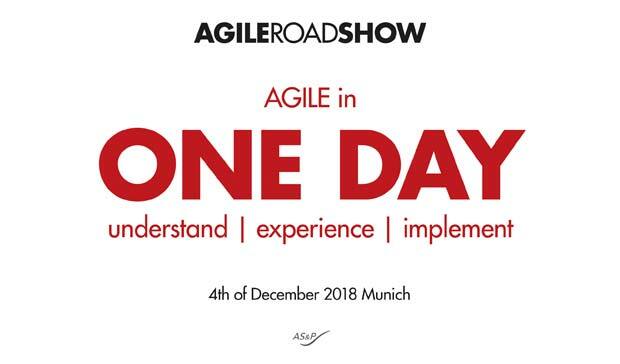 «AGILE IN ONE DAY» on 21. February 2019 for the price of € 390.00 plus VAT, incl. book „Agile Product Development“. Yes, I would like to receive the 2-week SPRINT in the future by e-mail. Holen Sie sich den 2-Wochen SPRINT. Tragen Sie Ihre E-Mail Adresse ein um unseren Newsletter in Zukunft zu erhalten! Frau Herr Akademischer Titel Vollständiger Name* Funktion* Firma* Abteilung* Straße* PLZ / Ort* E-Mail* Bitte tragen Sie mich für den SPRINT-Newsletter ein! * = Pflichtfeld, bitte ausfüllen!